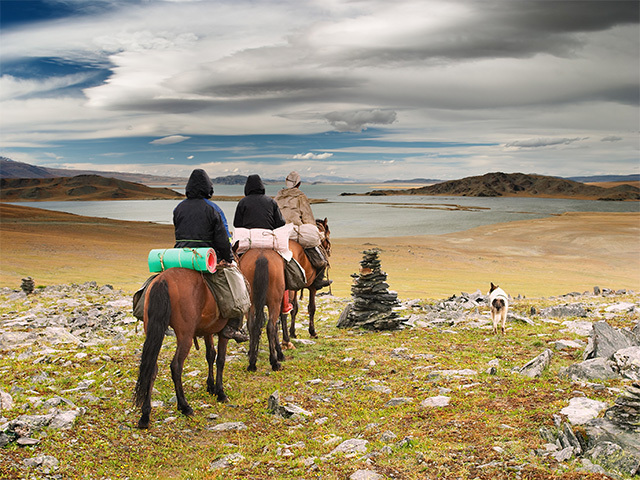 Mongolia is worth a visit for its spectacular mountains, epic landscapes, clear lakes, wildlife and livestock. 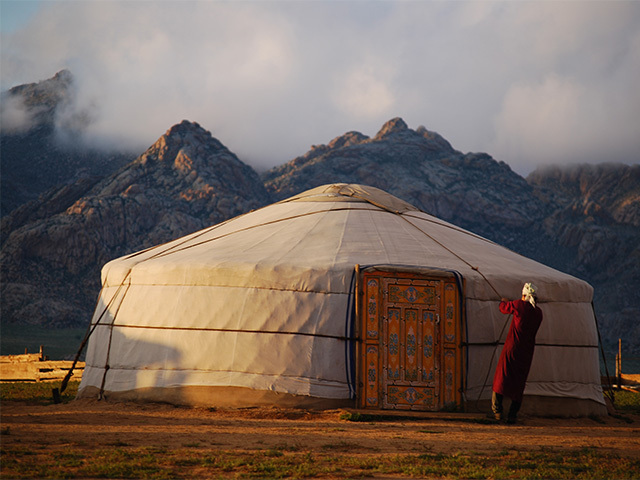 Travellers can witness the rich culture and traditions of the past still being practised by the nomads residing in the country’s vast steppes and deserts. Arrive in Ulaanbaatar, the capital city of Mongolia. Complete Immigration formalities and be transferred to your hotel. 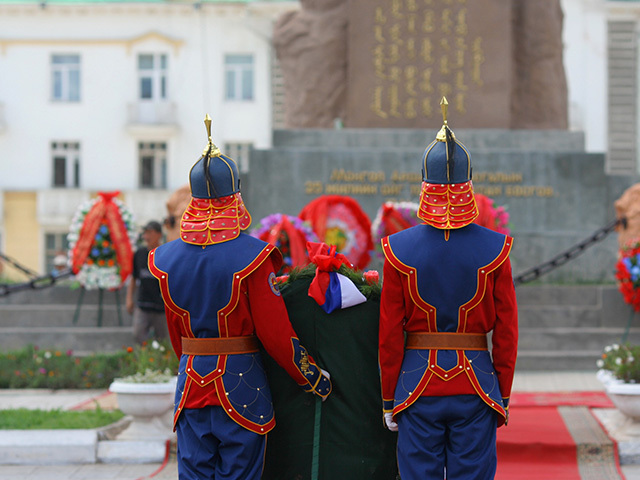 After checking-in to your hotel, proceed for a panoramic sightseeing of the capital of Mongolia. Visit the three-storeyed Museum of National History of Mongolia, which is famous for its impressive paleontological exhibits. A large collection of more than 6000 specimens are included in the museum, most of which are on permanent public display. It also has an excellent display on Mongolian history beginning with the Stone Age, running through the Turkic and Mongol Empires, the rise of Buddhism, the communist regime and ends with a colourful display of contemporary society. Enjoy the folklore performance in the evening. Overnight at hotel. Drive to the Hustain Nuruu (Pike Hustai) National Reserve Place (130 km) to see the Przewalski wild horses, which were re-introduced back into Mongolia recently from Holland zoo. Within the 90,000 hectare reserve, there are a number of Turkish graves and stone men statues and the Ongot archaeological complex is nearby. Tour the visitor’s centre to learn about conservation project and current developments. Later, visit a horse - breeder’s camp to explore the lifestyle of nomads, see the making of Airag ( the Mongolian national drink of fermented mare’s milk) and you will also have an opportunity to ride a horse on Mongolian wooden saddles. Overnight in a Ger at the base camp. Drive to Altan Mountain located about 20km from the camp to see breathtaking scenery which is a pleasure to the eyes. Also, as you enjoy a picnic lunch, observe a lot of birds. Return to the base camps for dinner and overnight. The adventure continues to Ugii Lake. This amazing lake covers an area of 27 sq.km and the average depth of water is 7 km. White shores of fine sand and soft waves provide a great option for bird watching, boating, kayaking and swimming. Overnight at Ger camp at the lake. Visit Khushuu Tsaidam – the remains of the monuments to Turkish Kings Kultegen and Tonyukuk. These monuments were declared a protected sites by the “UNESCO” in 1996. Continue driving to the Karakorum. Situated on the banks of river Orkhon, the site of the imperial capital Karakorum was chosen by Chinghis Khaan in 1220. The city, capital of the largest land empire the world has ever known, served as a supply point for the Mongol armies and was a cosmopolitan and multi-cultural place in its time. Today almost nothing remains of the once-great city, but the sense of its grandeur and importance can still be felt by the visitor. Karakorum was located on trade routes and was surrounded by walls with four gates, each with its own market. The nearby Erdene Zuu Monastery was the first Buddhist monastery built in Mongolia, constructed using stones and bricks from the ruins of the ancient city in 1586. During the communist purges of the 1930s, many of the temples in the monastery complex were destroyed, but the remaining temples and stupas are some of the best examples of Mongolian Buddhist architecture. Erdene Zuu is now both a museum and a functioning monastery. Drive to the fishing camp at Chuluut river in Arhangai province. The Chuluut (Stony river) is famous for its fisheries and fishing can only be done when you are in a canoe. The river flows down through the valleys of the Khangai Mountains in central Mongolia, and a tributary of the Ideriin gol. It is 415 km long and the width at the mouth in to the Ider river is 80 m, the maximum depth is 3 m.
Enjoy two full days of world-class fishing, for the eminent taimen as the river has the world's largest population. Taimen can reach up to 200 pounds and 2 m long and they are also known as 'River Wolf' by the Mongolians. Apart from fishing, you can also enjoy the beauty of incredible landscapes, wilderness and clear waters around the accommodation. Drive to Murun to catch a flight to Ulaanbaatar in the afternoon. Upon arrival, transfer to hotel for dinner and overnight. After breakfast, transfer to the airport for your flight back home.